Shown above: Tweet about this Rig EK activity from @thlnk3r (link). This is not one of the campaigns that use Rig EK like pseudoDarkleech or EITest (both of which I havent seen since April 2017). This traffic has different characteristics. Cisco is calling it the Seamless Campaign due to an associated iframe attribute back when it was first discovered. Shown above: Some Ramnit alerts after reading the pcap with Snort using the Snort Subscription ruleset. Note: The infected Windows host also tried several attempts at contacting google.com. File description: Post-infection malware retrieved from the infected host. Rig EK is still an ongoing factor in our current threat landscape. Thanks to everyone on Twitter who tweets about EK activity. Without help from the community, this traffic is difficult to obtain. As always, if you follow best security practices (keep your Windows computer up-to-date and patched, etc. ), your risk of infection is minimal. Unfortunately, many people dont follow best practices. Until this situation changes, EKs will likely remain a profitable method for criminals distributing malware. Emails, malware samples, and pcaps associated with the 2017-05-10 Rig EK traffic can be found here. I love it when people write tools to pull data from this site, and we try to accommodateautomated tools like this with our API. but sometimes, scripts go bad and we keep having cases were scripts pull the same data several times a second. I would love to let the owner of the script know, but often this is hard. To prevent some of these issues, I am going to enforce a new rule going forward: Your User-Agent has to include a contact for the script. I prefer a simple e-mail address. A URL will do if that is easier for you. The data will exclusively be used to contact you in case of a problem. To enforce this, generic user agents will be blocked (like Python-urllib/2.7, Wget/1.12 (linux-gnu), curl/7.38.0). I will start doing so with older pages that should no longer be used by automated scripts anyway (as they are not designed for automation like our API), and initially only block specific User Agents. If you hit the page with a blocked User Agent, a 403 error will be returned (Forbidden) and a simple text message pointing to this post . The failed effort by Russian attackers to influence the outcome of the French presidential campaign in its final hours was in part a forced error, thanks to an active defense by the digital team of French president-elect Emmanuel Macron's campaign organization, the digital director of the campaign has claimed. Campaign team members told the New York Times that as the phishing attacks mounted, they created a collection of fake e-mail accounts seeded with false information. 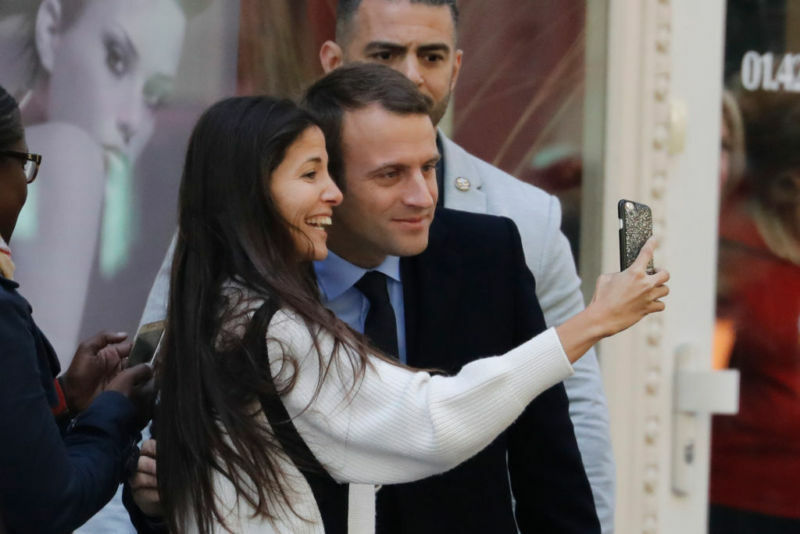 "We created false accounts, with false content, as traps," Macron campaign digital director Mounir Mahjoubi told the Times. "We did this massively, to create the obligation for them to verify, to determine whether it was a real account."